Every year the Canadian Historical Association holds its Annual Meeting as part of the Congress of Humanities and Social Sciences. 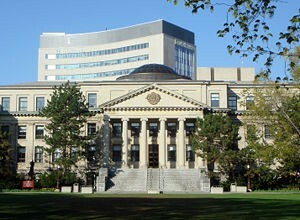 This year the event was held at the University of Ottawa which, as an Ottawa denizen, was quite nice. I didn’t spend any time looking at maps, figuring out where the book fair was, or trying to find restaurants. This year the CHA welcomed a record number of participants (605) to its annual meeting. That number was likely buoyed by the representatives of the national capital region’s numerous museums and historical research firms, but it does demonstrate that, despite the public hand-wringing, history is not dead. Over the next couple of months, we will have a wide variety of podcasts from the CHA Annual Meeting. In addition to new episodes of the History Slam, there will be recordings of conference sessions and the keynote and presidential addresses. For the first of these podcasts, I decided to continue what has become an annual tradition for the History Slam. As we did for Victoria and St. Catharines, we decided to use the opportunity presented by Congress to reflect on the week that was as well as address the utility of conferences. In this episode of the History Slam, I chat with Michel Duquet, executive director of the Canadian Historical Association, about his experience at Congress. We also discuss the CHA’s role in promoting history as well as its efforts to address the linguistic imbalance at the annual meeting and the lack of papers looking at non-Canadian issues. I also talk to Benoit Longval, a graduate student at the University of Ottawa, about the graduate student experience at Congress, the pros and cons of roundtables, and the logistics of the CHA.